EDIT (StealthImpa) In-game pictures are up. I've got permission so lets get to the description. Hello everyone it's OmegaS3 here with a recolor box. What is a Recolor Box, well its a bunch of recolors. This recolor box has 12 different recolors. This download includes all those and the original for a total of 13 textures. 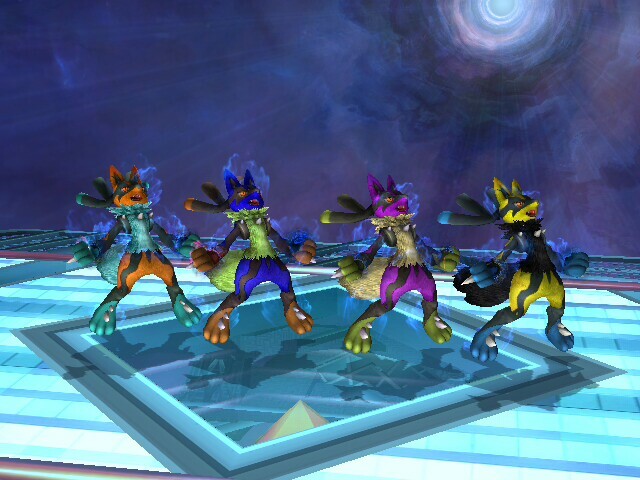 So starting from the original texture I made 10 recolors. For Cbliss users and non Cbliss user. I've also included a old texture of mine that is no longer on the vault. The Egyptian Sphinx Lucario in his new form with a Omega custom blue outfit. So here is the colors you are getting. All these have been tested in game and does work. Comes with both .pac and .pcs files. I will do CSPs for these later unless someone else wants to do them. Let me thank Nanobuds for letting me create these recolors, and thank both of them for making this model. (StealthImpa) If any problems PM OmegaS3 NOT me!! Hey OmegaS3 here, with a amazing upload. 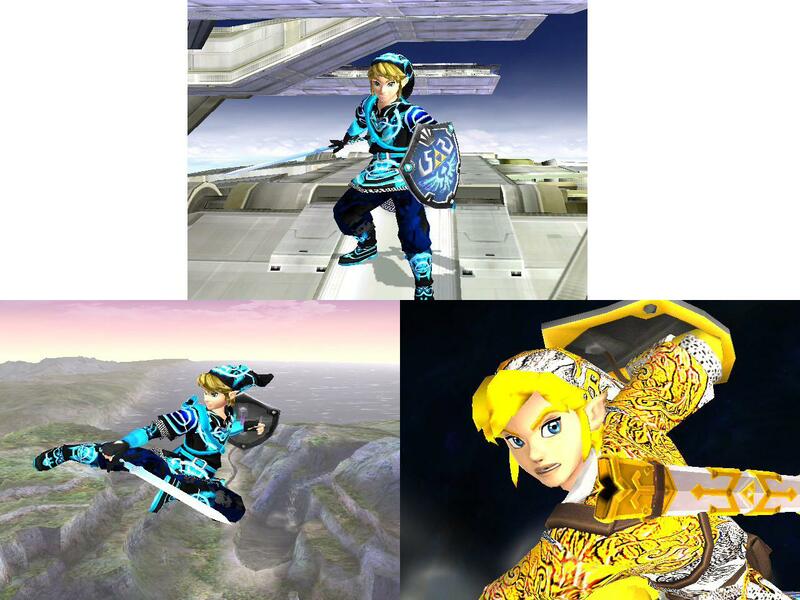 I give you Link from SSB Wii U Cbliss Recolor Pack. 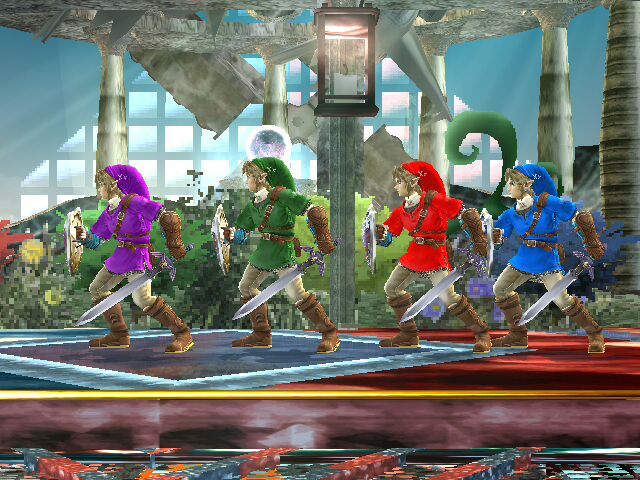 Using LinKeR green texture I converted 9 more recolor outfits. 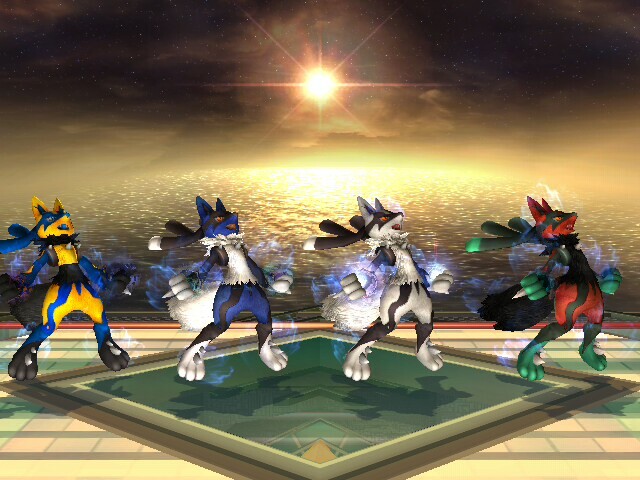 Bright and great looking ingame just like SSB Wii U. It was a quick and easy do for me, took about 10 minutes all together. If any problems send me a PM. 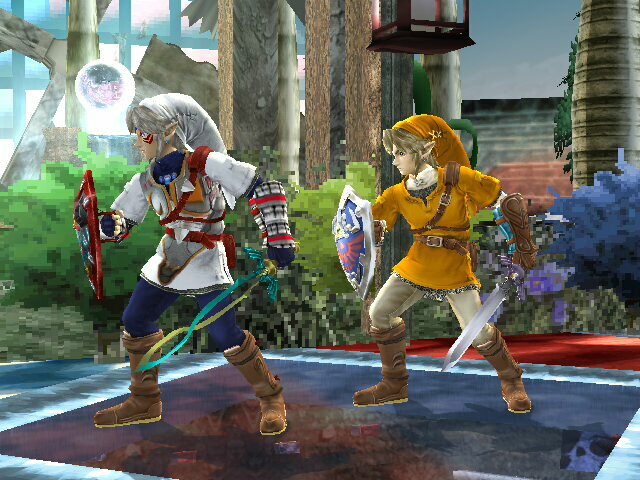 These outfits will also be included in Super Smash Bros. Fusion for the new link being introduced in Fusion. Future updates will be CSPs and BPs for all outfits. Special Thanks and Collab to LinKeR for the Original Outfit. NOTE: (StealthImpa) Don't send me a pm, if you have any issues pm OmegaS3! Sacred Project: Skyward Sword Hero True Final Release Final Revamp (Please read update description) by StealthImpa, BlueLink, KingJigglypuff, ABloodyCanadian, Hackingstar, Kagemaru, OmegaS3, Diddy Kong, tempesttime, LinKeR, GanonZack, Akeno/Archer, Linkxp500, iwantgames, EpicBanana with credit to Tormod, Kienamaru, drogoth232, Takashi Ohara, Bluebreon, Phantom Wings, DSX8 and Project M Team. 1/5/2014 Note: When this reaches 1000 downloads I will create a newer more advance PSA. Let's get it up there. NOTE: OmegaS3 and I both tested the B consecutively problem. 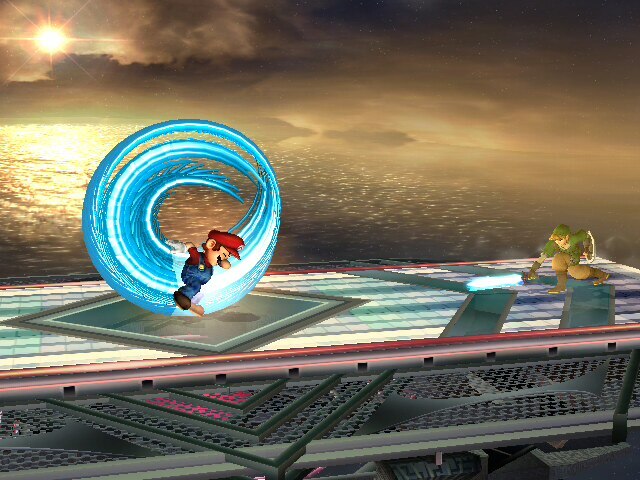 I used a turbo Gamecube controller, as Omega pressed B as fast as he could, we DON'T experience these freezes. So repeated reports of that issue will get this hack removed. Edit by OmegaS3 06/09/2013 - Finally its finally done, this Skylink is completed. Few minors things are fixed on all versions. With the true skystrike graphic and rotation animation thanks to Tempesttime and Iwantgames. Huge credit to them. Revamped the PSAs so that the sword trail is in every slash animation now. A few minor bugs that were fixed. He is still playable online. Look at image 2 for the new skystrike graphic. It also goes on the final smash. This is the final update of this hack and no more will be applied. A new skylink is being made now with a new version and my own custom version will come later. Thank you to everyone who enjoys this hack. Edit by Kien 06/09/13 - So I fixed up all of the animations that I could, created the Minus PSA, and helped balanced out the Vbrawl one. There are a ton of changes that fix errors that the original SkyLink download had, and some things that just didn't feel right such as completely off hitboxes... those are all fixed as well. Edit: Final Edit to this hack will be only to the skyward strike. OmegaS3 here with the true final release of my favorite Link. Thats right SkyLink has been freshly revamped in all the areas that where needing help. 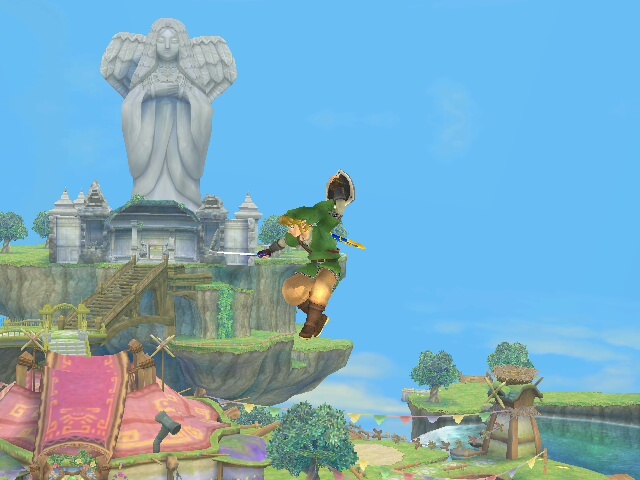 Fixed Animations, to a smaller PSA file, Skyward Strike GFX added a better looking final smash. Jumping from the heavens into brawl Skylink is back better than ever, new CSPs and now BPs with a special thanks Darkfire. Includes LinKeR HD textures and mine that were made with the help of LinKeR help, so special thanks to him. A brand new special black outfit called Skyward Mode, made by me with special thanks to EpicBanana. 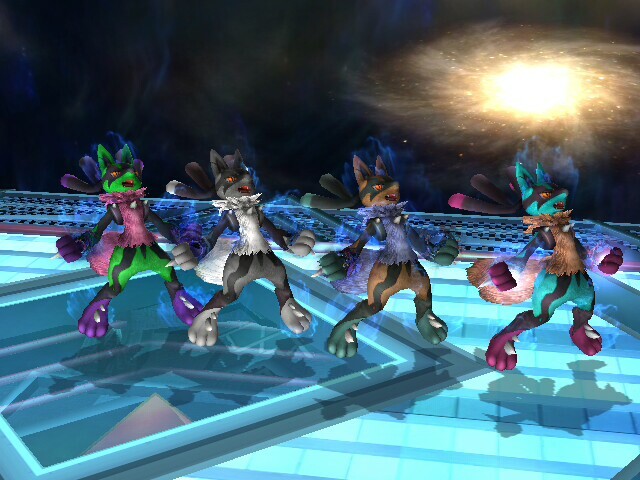 Skylink can be ported over 26 other brawl characters from Mario, Yoshi, Olimar, etc with rels. (rels are included). Comes with 22 outfits, both hands, Minus, Plus and Balanced versions. Brstms from the previous release are still included with new revamped of Skyloft Night Version also included. All comes with SSS icons for both versions and a alternate file loader version. Something new is a txt file that has a code to make CPU opponents to be level 16 if you love them hard computers. 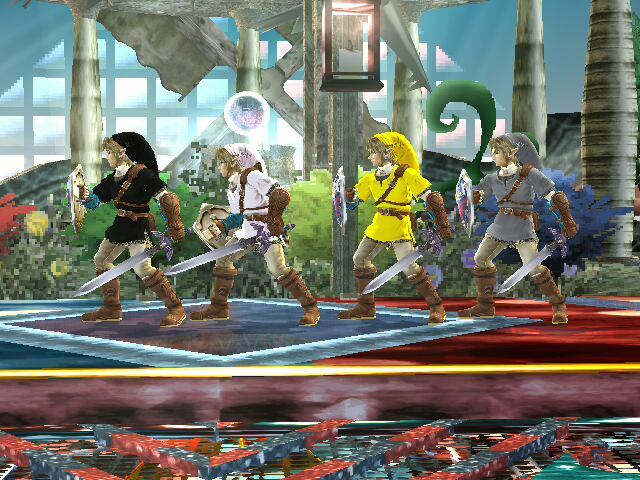 Special Thanks to everyone that help and Phantom Wings for making porting Link over those 26 characters possible. IF YOU WANT TO USE ANYTHING FROM THIS PM OMEGAS3, IF NOT YOU DON'T HAVE MY PERMISSION. NOTE: (StealthImpa) If there is any problems, PM OmegaS3. 6/11/13- Another Description Update- TRUE FINAL VERSION IS OUT. THIS SKY LINK IS OVERPOWERED. Also we are aware that the Sky Strike infinitely powers up. Skyward Link that comes with music & a stage, csps, css icons, both left and right handed variants, & a record breaking FitLink.pac. We have the Sacred Bow imported, Loftwing Entrance, and a 100% working skyward strike. A whole updated and completed Skylink. 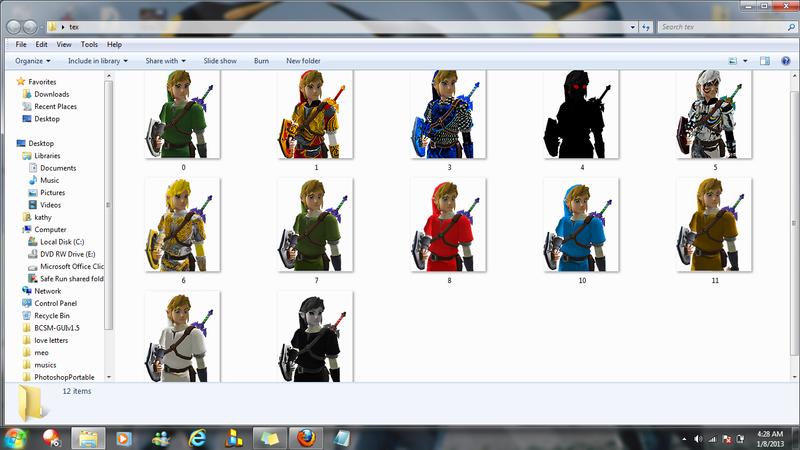 Comes with 13 different outfits starring my own, LinkEr's textures and Bluebreon's Majora Link. This also comes with the completed Sawnd file from me with the help of HackingStar. Huge help from KJP, Kagemaru, and drogoth232 with animations and walljumping. Comes with 3 brstms with .mp3 files to listen to the music yourself. (I made a custom song just for this) Skyloft over Bridge of Eldin. Facial Expressions thanks to BlueLink. It took some time but watch the video to see what an amazing PSA you're getting. Sky Link User Guide in the download, so you can feel like you're opening the Brawl Player's Guide and see a section for Sky Link. This works with both Riivo and Gecko.